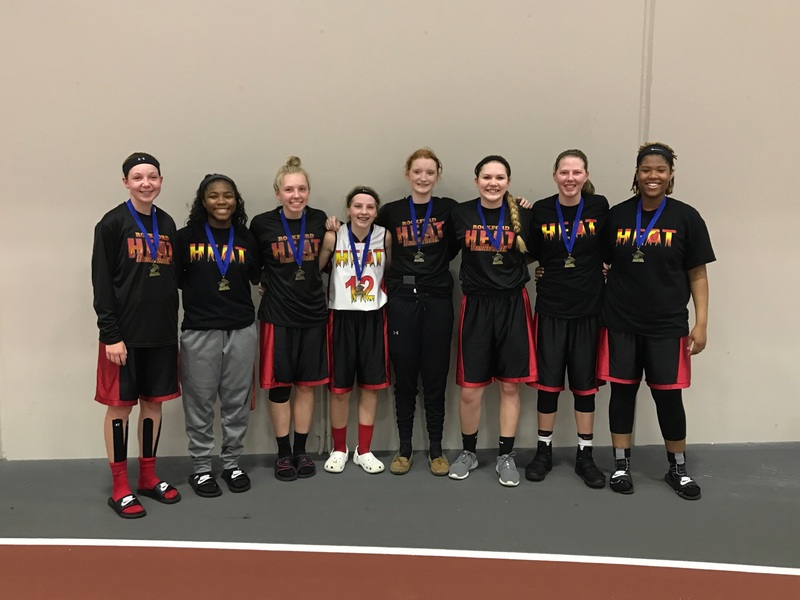 Great job to our freshman ladies-Team Lavery for taking first today in the For The Game Shootout today at North Central College. Great job ladies Keep up the Hard Work! 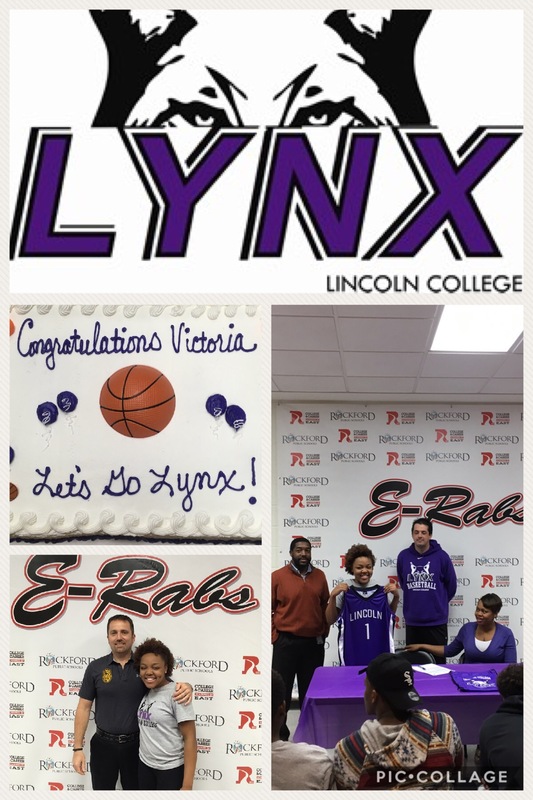 Victoria Malone Signs With Lincoln College! 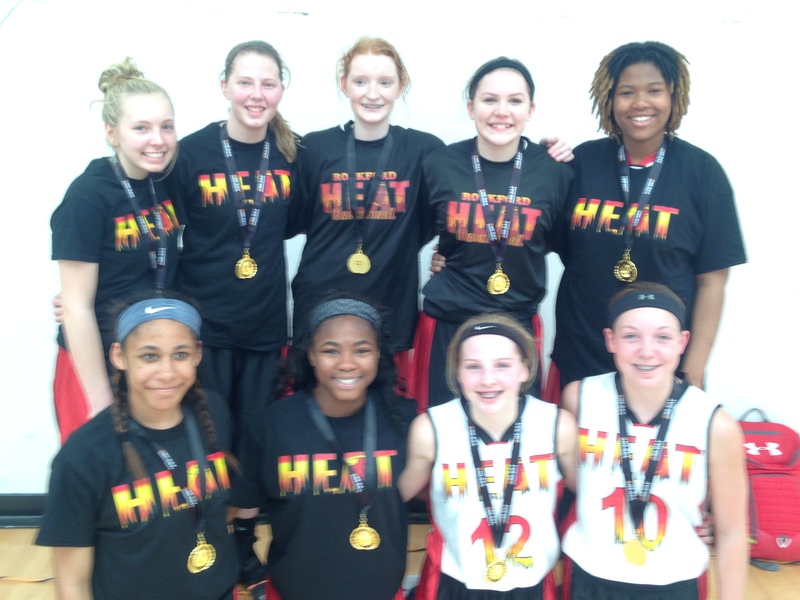 Shout out to out Freshman girls for winning the Championship today at Carthage College. 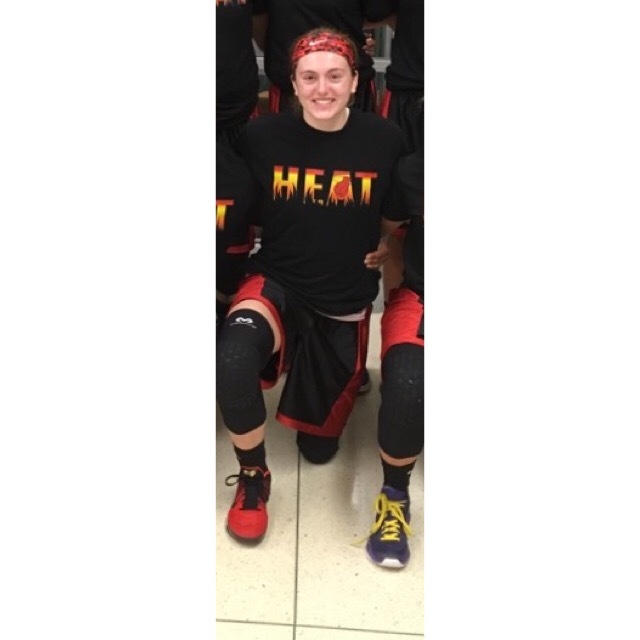 Madison Davis Selected as USJN All Star! 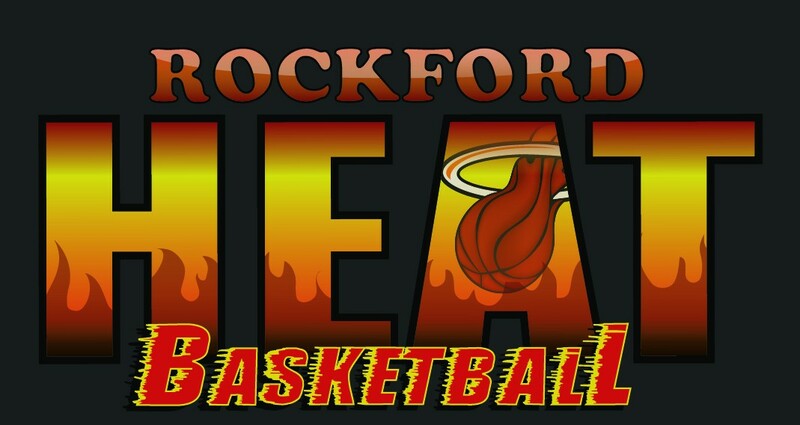 Shout out to Heat Elite player Madison Davis(Shooting Guard, Rockford Lutheran High School) for being selected to the USJN Pool “B” All Star Team for the USJN Midwest National Qualifier held last weekend in Waukegan! Madison Davis is a pure shooter that has range that extends deep past the arc, it doesn’t matter where Madison is at on the court, she is a threat! Madison has great length to guard anyone from the perimeter to the paint that quickly shows her versatility on defense! Ball handling is high level to help control the half-court offense or to easily help get the ball up the court in the press. It’s easy to see why Madison garners a lot of attention from college coaches. Madison, Class of 2018 is a player that all college coaches will want to get in contact with ASAP! Mariah Hill Selected as USJN All Star! 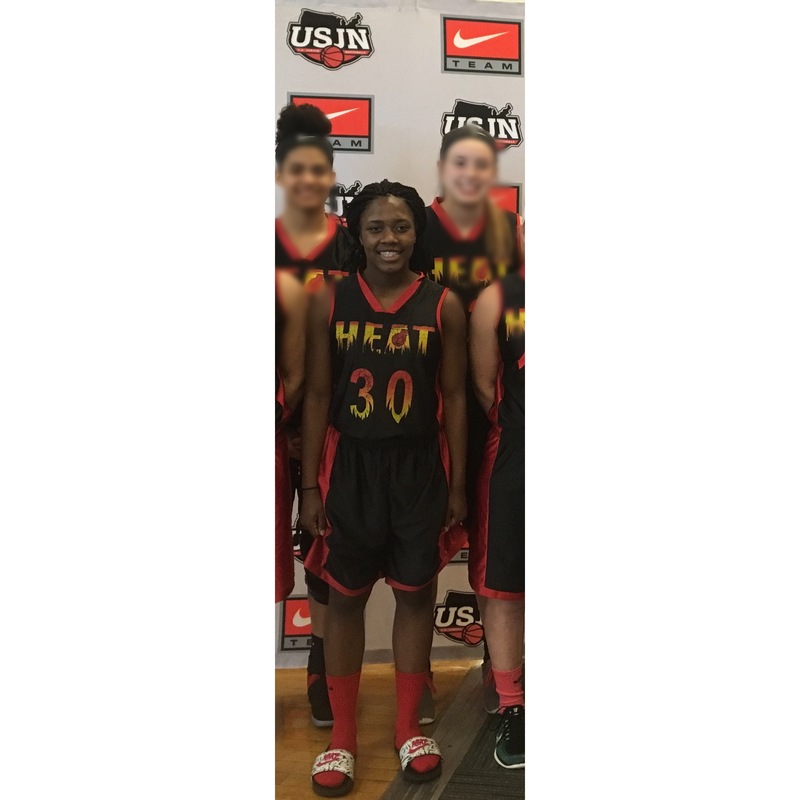 Shout out to Heat Elite player Mariah Hill(Point Guard, Rockford East High School) for being selected to the USJN Pool “B” All Star Team for the USJN Midwest National Qualifier held last weekend in Waukegan! Mariah is a point guard that makes the play with either a drive and kick, drive and finish, or an assist! Mariah has some of the best on ball defense in the half court set and really sparks the full court team defense! Mariah is also a physical guard that easily breaks the press! Mariah Hill is only a freshman that will garner a lot of college attention, all college coaches will want to get in contact with ASAP! Raquel Mills Selected as USJN All Star! 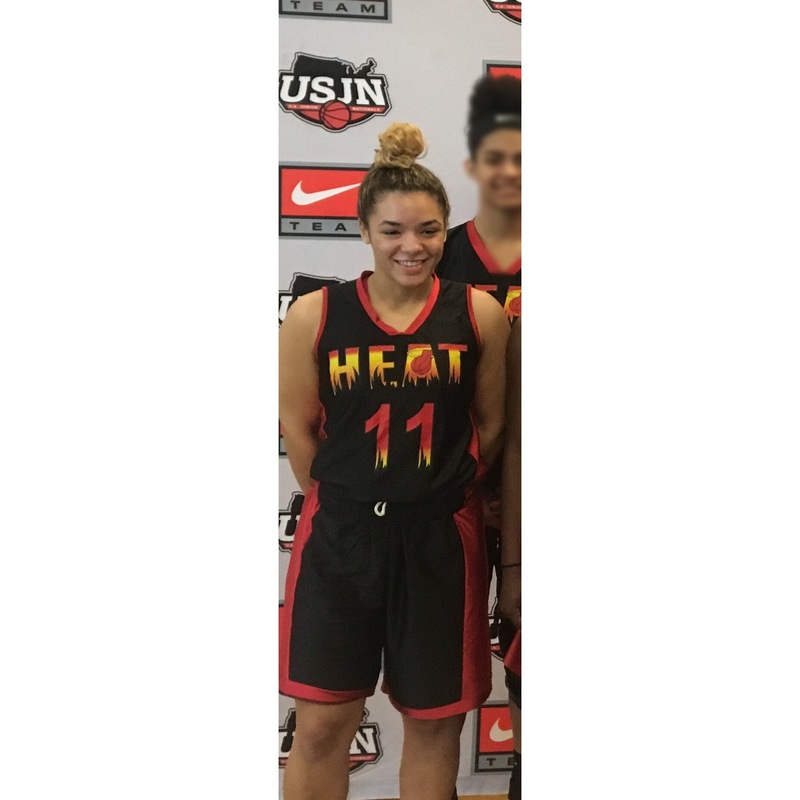 Shout out to Heat Elite player Raquel Mills(Guard, DeKalb High School) for being selected to the USJN Pool “B” All Star Team for the USJN Midwest National Qualifier held last weekend in Waukegan! Raquel is a blue collar guard that plays great on ball defense against anyone, has quick feet to cut off the drive and quick hands for steals. Raquel is a physical guard that easily breaks the press and can knock down the 3 ball! Even though she has strong abilities to score, Raquel is a top on ball defender and will play in the gaps off the ball. Raquel, Class of 2018 is a player that all college coaches will want to get in contact with ASAP! 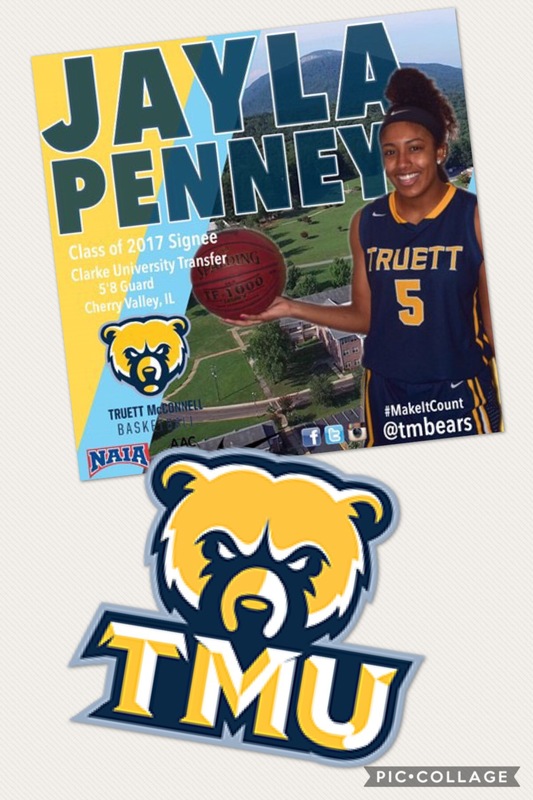 Jayla Penney Signs With Truett McConnell University!